To create a dummy "Hello World" with newest IntelliJ IDEA 13 and JDK8 8 (Early Access Releases) on Windows 8.1. 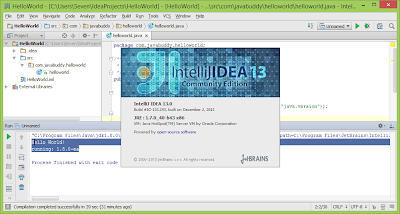 - Download and install IntelliJ IDEA 13. - Download and install JDK 8 Early Access Releases. 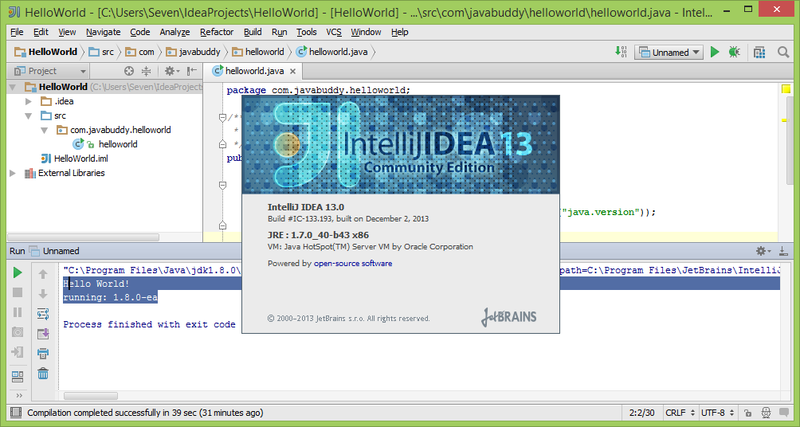 - Create a "Hello World" project in IntelliJ IDEA.